If you want to block text messages from a specific number or contact on your Android device with a third-party solution. Just follow this tutorial with easy steps. The text messages are one of the best ways to converse between two known people, in some cases you can receives Spam messages. 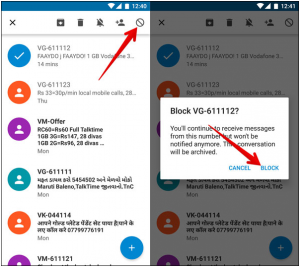 In these spam messages to you want to block on your android phone, and then here in this article you can easily block text messages from any number you want, let’s see how to block annoying text messages or SMS. If you think you are agree with receiving few texts every day, then think again, because you are also paying for them save you have an unlimited SMS plan. In this tutorial, we will show you how you can block texts from different numbers using different methods. 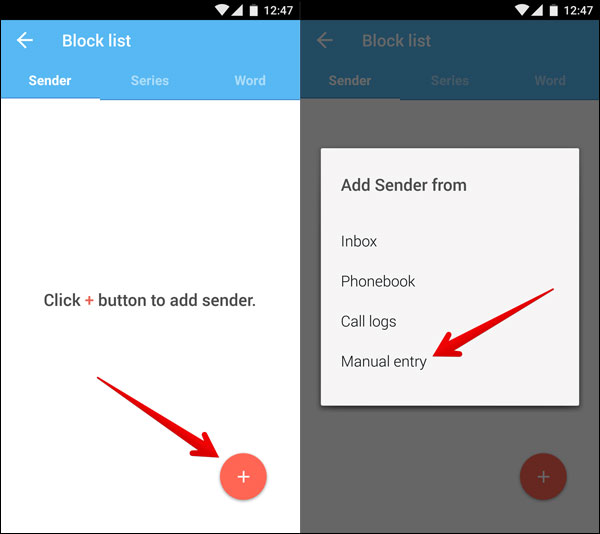 So here we are going to learn how we will block those annoying SMS or text messages which you never wanted to receive by using two simple ways. 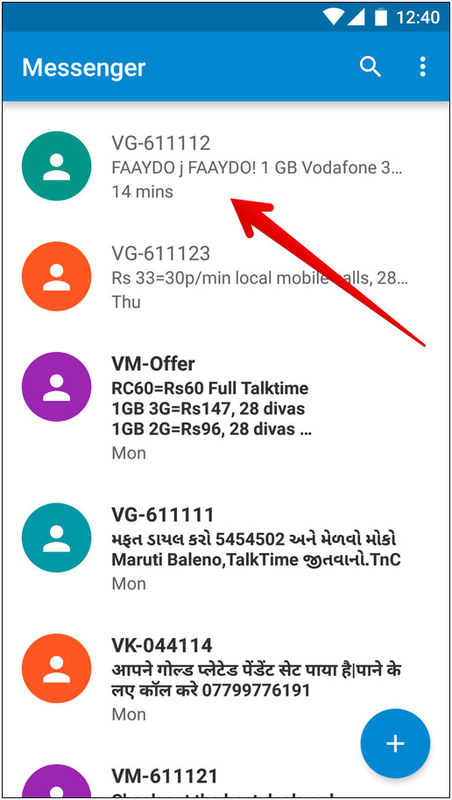 If you’re android Smartphone is running Android Kitkat or above, they can simply block SMS by using default messaging app. This is the easiest and fastest way of blocking text messages without any disturb of checking out third-party apps or services. All you need to do is to follow these two simple steps. Step #1 Go to your text message app on Android phone and press and hold the message which is irritating you. When you do this, depending in the lead your device model and version, you will be seeing different kinds of option just at the top of your screen. Step #2 Screen upper-right corner there you must be seeing “Add to Spam” or “Block” option. Just tap on that option and you won’t be receiving any text message from that particular sender. 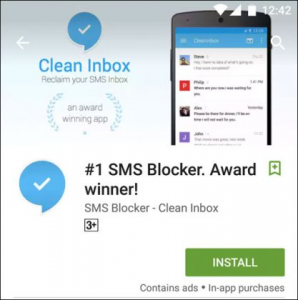 If the Android Smartphone’s built-in text blocking service doesn’t work for you, then don’t worry, Google Play Store is loaded with SMS blocking apps. 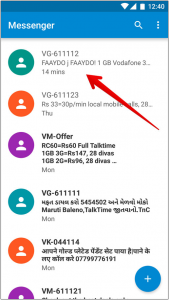 You can easily find an SMS blocking app that completes your needs perfectly. Step 1: Download SMS Blocker from here. Step 2: Open the app, Tap on “+” button, next, select “manual entry”, and then you can block number directly those annoying spammers. Step 3: The second way is to block entire series numbers that all those telemarketers bother you, first you need to select those numbers or telemarketers message and then finally tap on “Add in Block list” option. After that, you will receive no such SMS in future. 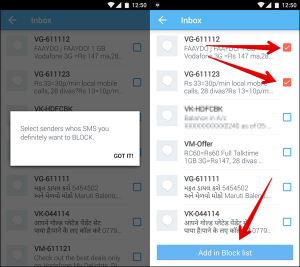 In case, above both methods are not working then you can contact your carrier to make them block specific number. This might not be the easiest method, but still, if nothing works then this is an option too. Your Carrier can effortlessly make a block list, where they will add all the numbers from which you don’t desire to receive any Text. However, they might charge you for this service, so do your research properly. You need to just go to the website of your carrier and log in; if you search a bit you will definitely find a page where you can block numbers. If you can’t find any page, then just call the help center and they will add the numbers to block list for you. These are the best ways to block those frustrating SMS or spam text messages. They are effortless and will make you stop bothering about when you next hear the ring you have set for your SMS notification.